We are now into the most spectacular holes on the course. 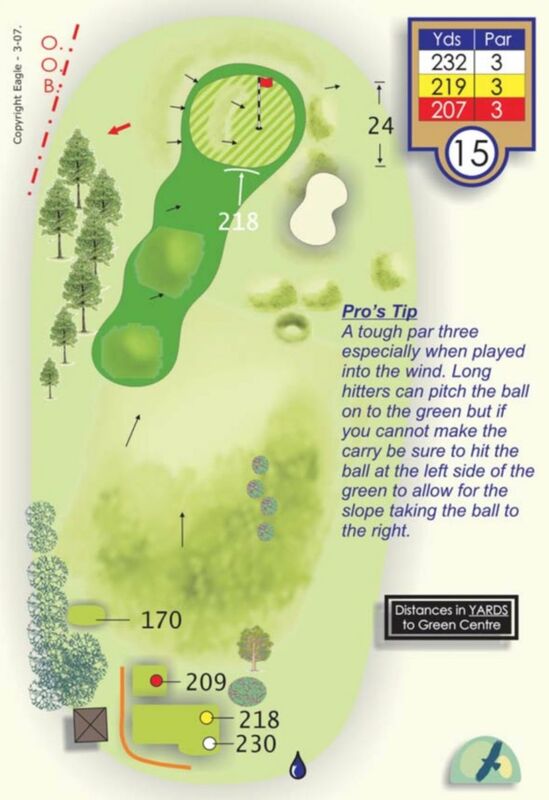 This one's a giant par 3 to a very small target. Bring the ball in from short-left using the natural contours when the flag is in its customary position on the right side. A par here is more than acceptable.